THE INSIDE SKINNY ON… ELF The Musical! Many of us were dazzled by the songs and dances in Beauty and the Beast, and tickled pink by the festive holiday spirit in Irving Berlin’s White Christmas when The Music Hall and Ogunquit Playhouse teamed up to bring the Seacoast its annual holiday spectacle. This year, we head to the North Pole to see Buddy the Elf live on stage, and we have a sneak peek into Elf The Musical in our exclusive interview with The Music Hall’s Brittany Wason below! 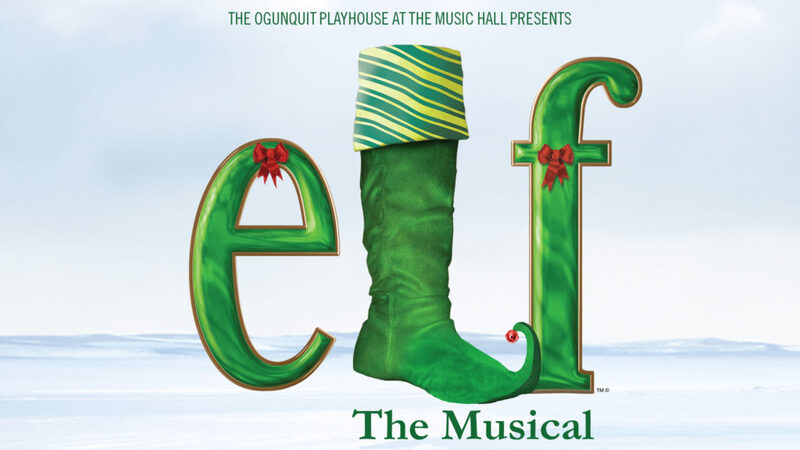 What can we expect from The Ogunquit Playhouse at The Music Hall’s production of Elf The Musical? This show offers all the magic and fun of the beloved movie Elf, with the addition of catchy songs, whimsical sets, and incredibly talented actors. Seeing Elf the Musical will be a rare opportunity to enjoy Broadway-level talent in our own backyard. Many of us know and love Elf the movie… How will this be different? The musical’s storyline remains beautifully similar to Elf the movie and is just as lovable and fun! The addition of upbeat musical numbers blend into the script beautifully and sprinkle the scenes with holiday cheer! Can you tell us more about the partnership between The Music Hall and The Ogunquit Playhouse? Over the past few years, we’ve had the pleasure of collaborating with the Ogunquit Playhouse to bring spectacular Broadway-level musicals to Portsmouth. Our two organizations’ missions align perfectly, and we share the honor of providing elevated, family-friendly productions to our community. When can we see it?!?!? Everyone is welcome to watch preview shows (November 28 + 29) this year, when audience members will see the earliest performances and have an opportunity to be a part of the creative process! What makes these performances so fun is that guests will be viewing the real performances, and then provide feedback to the cast through their reactions. Audience feedback on these nights will guide the cast and allow the director and crew opportunities to improve the show. Opening night (November 30) is a very high-energy affair that is also open to everyone! Our presenting sponsor, C&J Bus Lines, will park a bus on the street and will once again provide custom holiday ornaments to those who attend. The show will run from November 30 to December 16. Some dates offer two show times and prices may vary, so please take a peek at our website for more information. Thank you, Brittany, for sharing the inside scoop on Elf The Musical with us; we can’t wait! !